OMG! This Online Label Just Made Us Fall In Love With Jars. AGAIN! Just when you think you’ve had enough of jars, life throws another interesting one at you. Wondering what we have this time? We’re talking about Jars & Arts. Started in 2019 by Ragavi Ramaraj, an IT professional, Jars & Arts is a true celebration of glass art. By hand-painting glass jars of different shapes and sizes, Jars & Arts upcycles them into beautiful and bright pieces of work. From jewellery jars to flowers vases, dressing table accents and jars for storing makeup products such as brushes, Jars & Arts offers jars that not only look pretty but also serve a purpose. We specially loved their jar lights that come with a candle and are painted in a manner that reflects the light in the shape of a heart, stars and more. Not just paints, Ragavi also uses glitters and stickers on the jars for decorating them. Available in different sizes, prints with artistic detailing, the jars start from INR 300 and can be delivered anywhere within Chennai. If you have a particular design in mind or are looking to get customized jars for a particular event or gifting purposes, Jars & Arts can do that as well. You just have to inform them a week or two in advance so that they can make the delivery on time. Not just that. 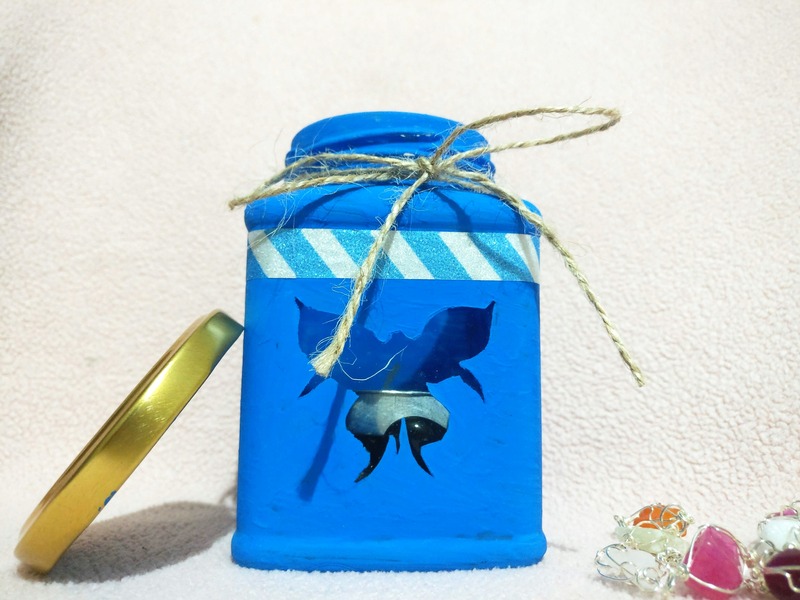 Jars & Arts is also looking to repurpose glass jars into customized toys and miniatures for wedding décor and parties, so be sure to watch out for that.